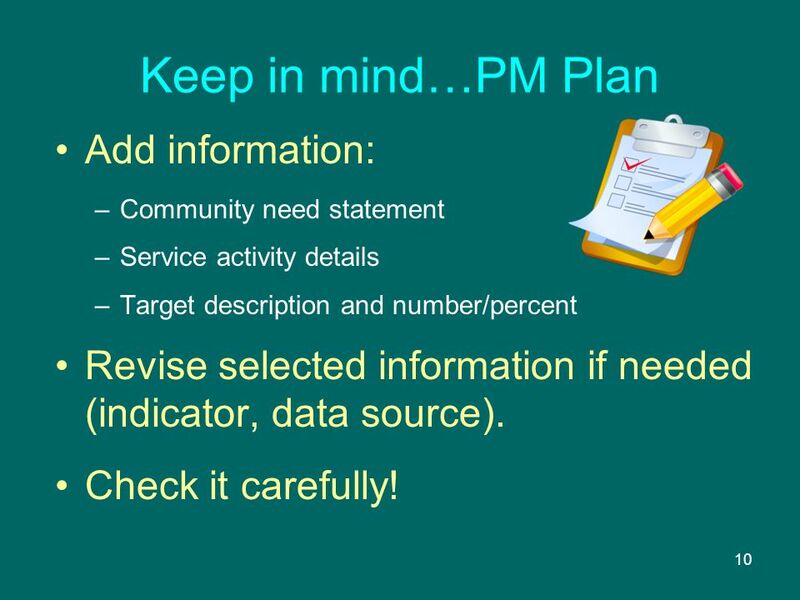 10 10 Keep in mind…PM Plan Add information: –Community need statement –Service activity details –Target description and number/percent Revise selected information if needed (indicator, data source). Check it carefully! 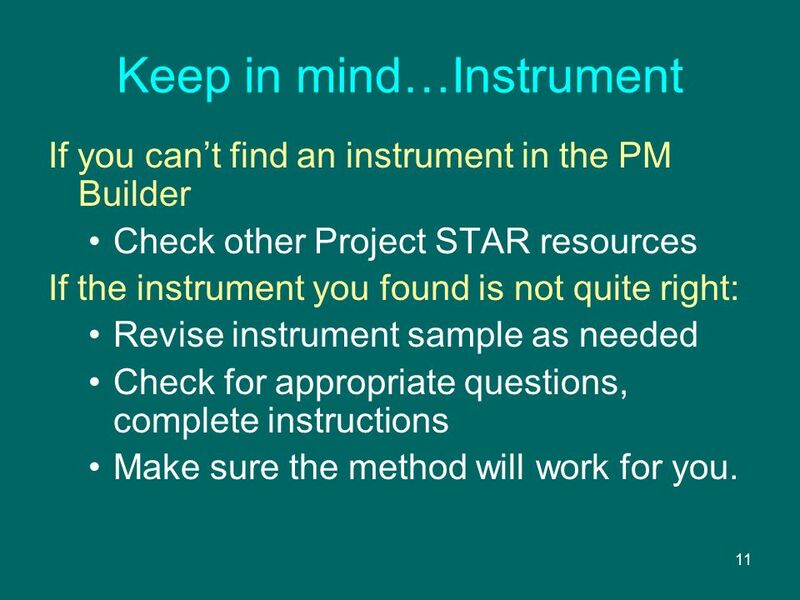 11 11 Keep in mind…Instrument If you cant find an instrument in the PM Builder Check other Project STAR resources If the instrument you found is not quite right: Revise instrument sample as needed Check for appropriate questions, complete instructions Make sure the method will work for you. 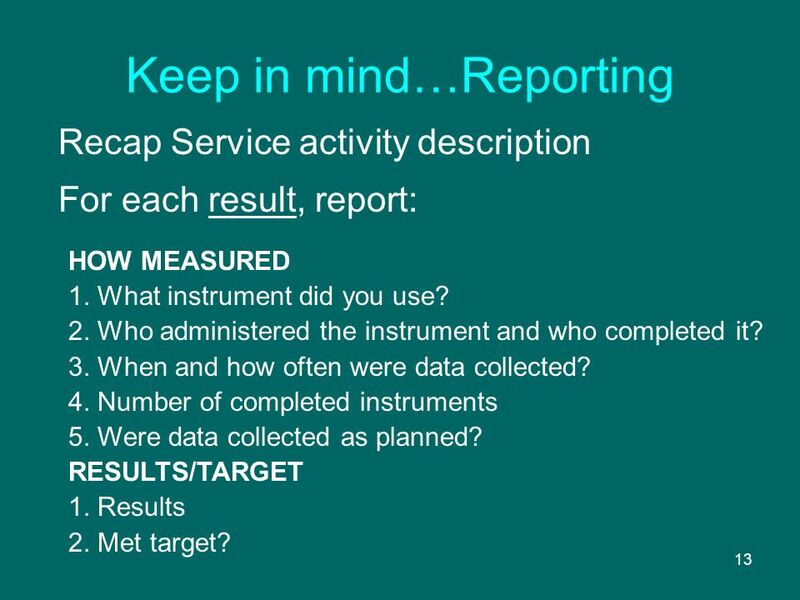 13 13 Keep in mind…Reporting Recap Service activity description For each result, report: HOW MEASURED 1. 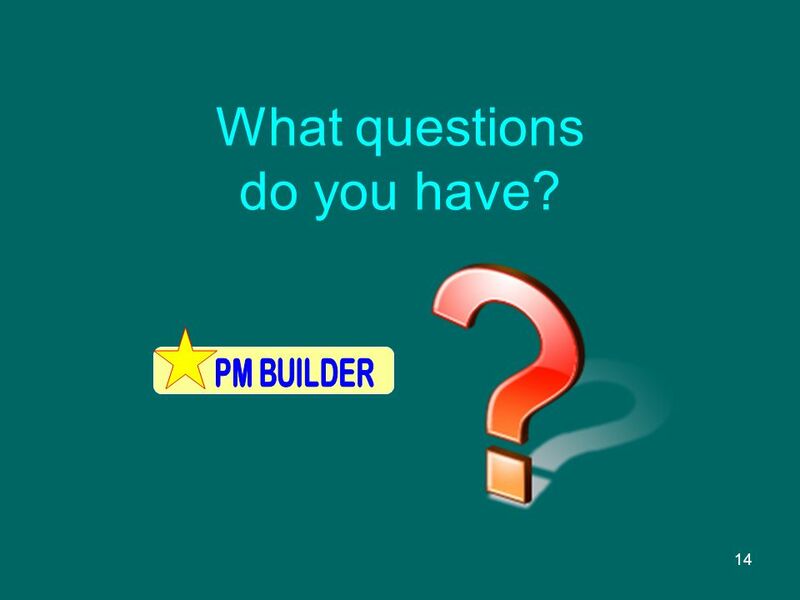 What instrument did you use? 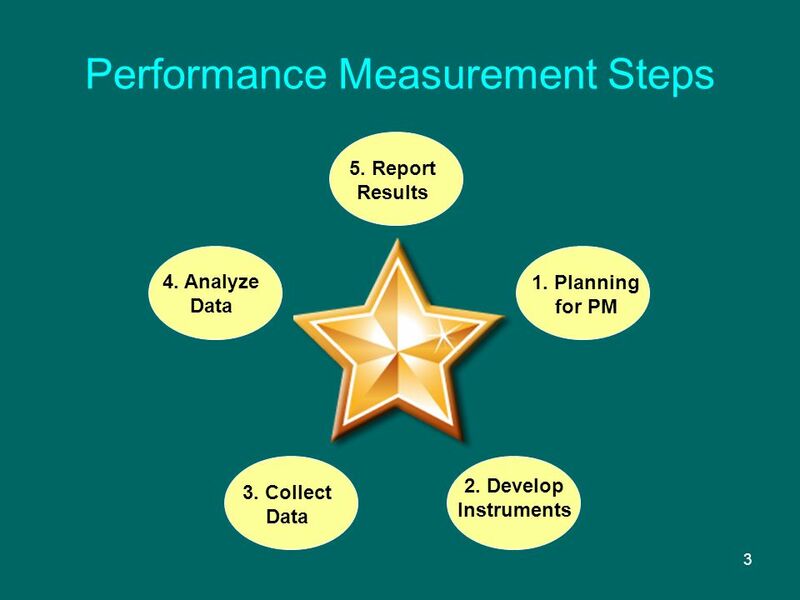 2. Who administered the instrument and who completed it? 3. 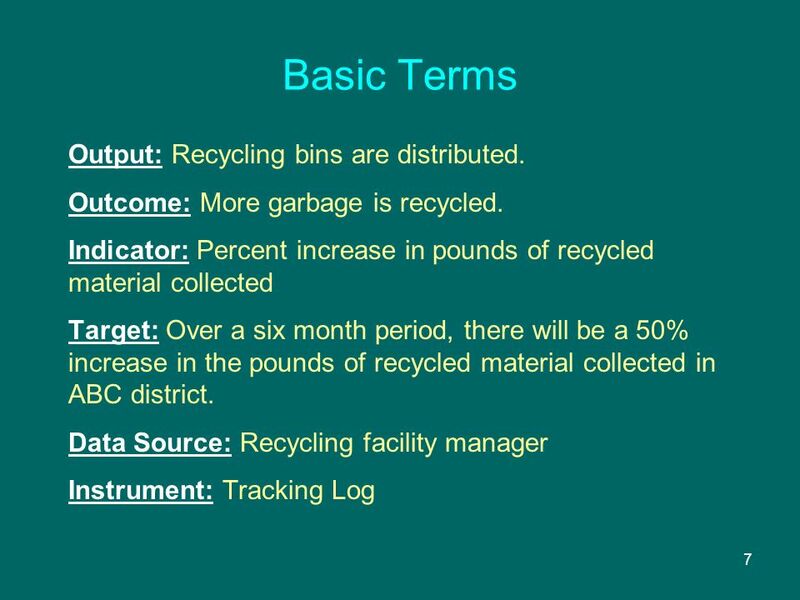 When and how often were data collected? 4. 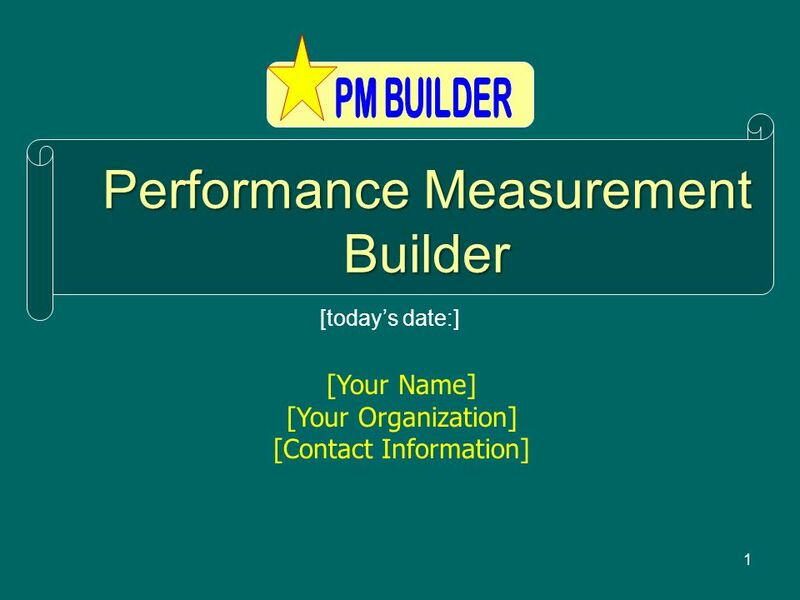 Number of completed instruments 5. 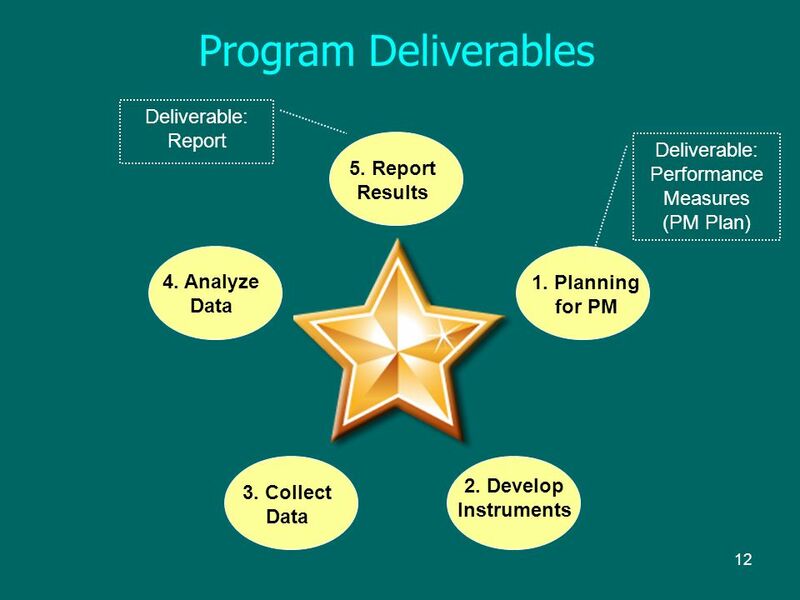 Were data collected as planned? RESULTS/TARGET 1. Results 2. Met target? 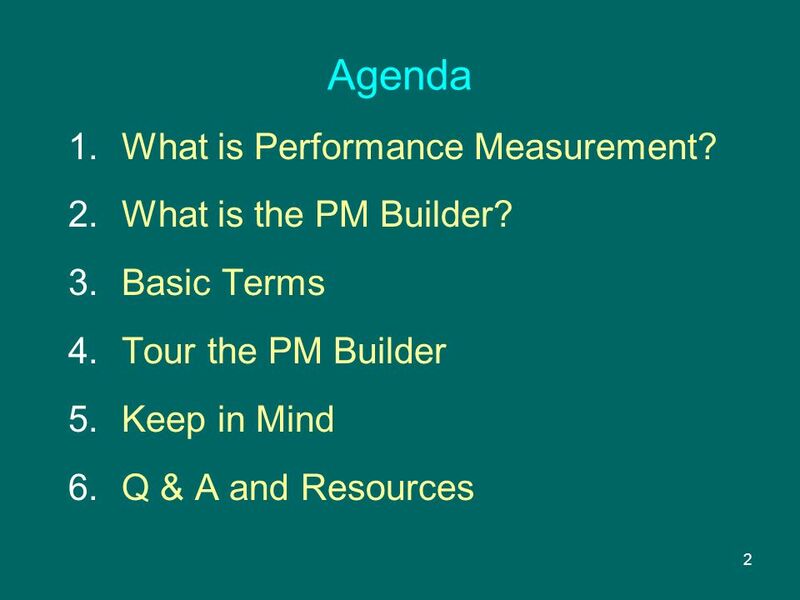 14 14 What questions do you have? 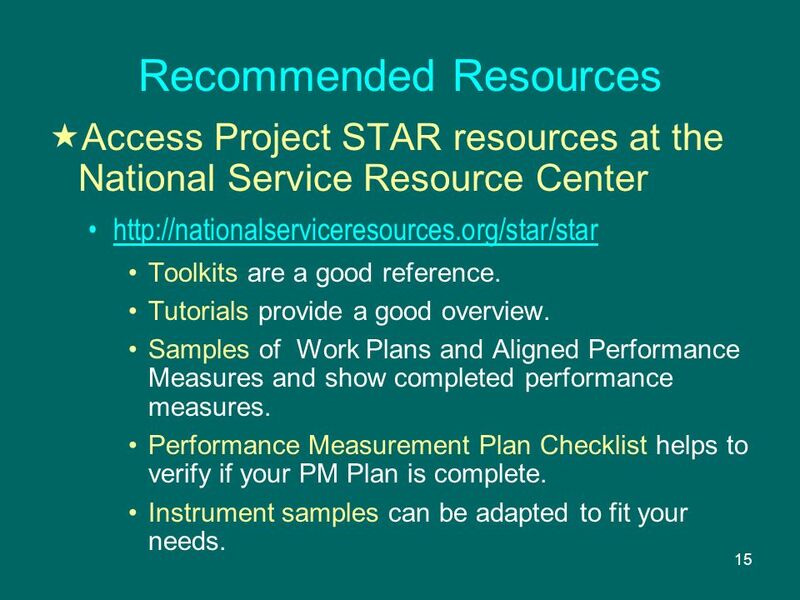 15 15 Recommended Resources Access Project STAR resources at the National Service Resource Center http://nationalserviceresources.org/star/star Toolkits are a good reference. 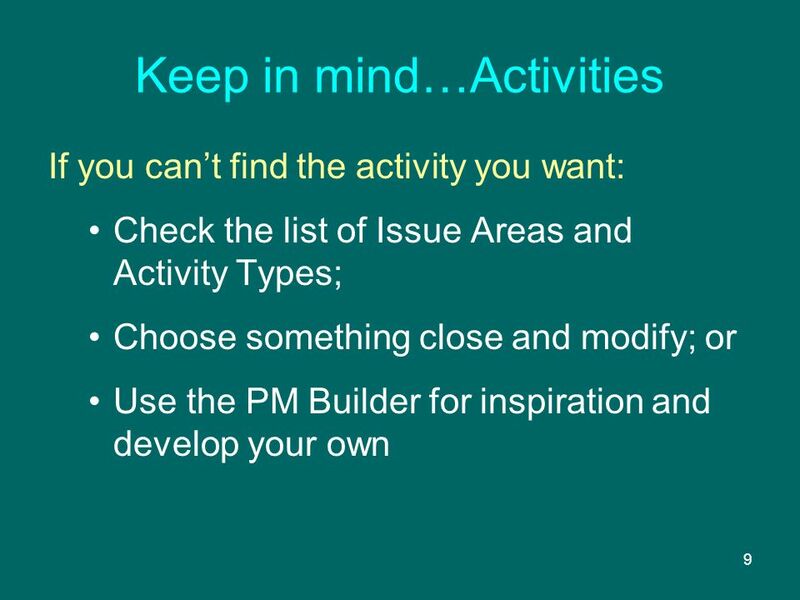 Tutorials provide a good overview. Samples of Work Plans and Aligned Performance Measures and show completed performance measures. 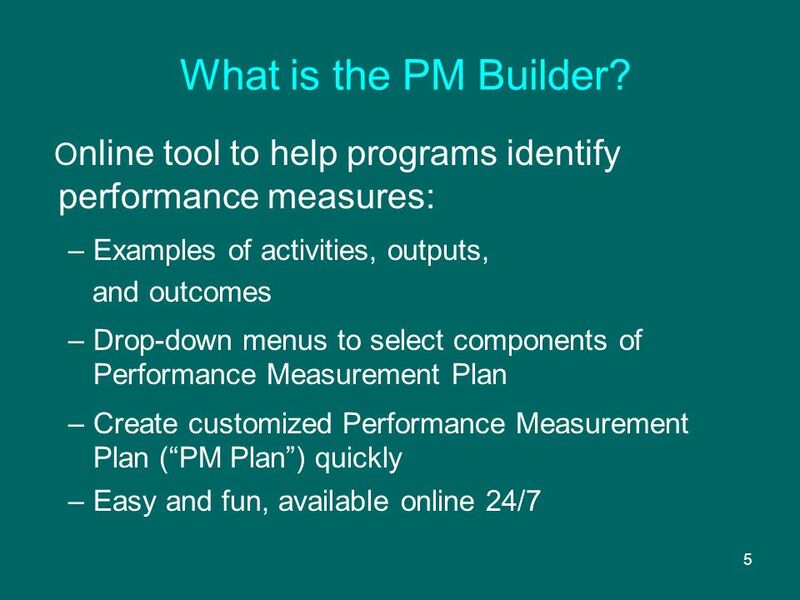 Performance Measurement Plan Checklist helps to verify if your PM Plan is complete. 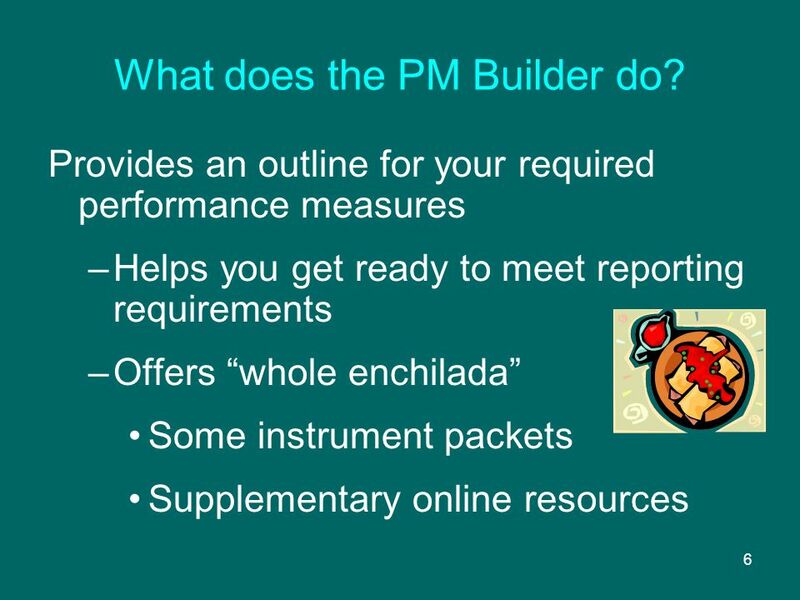 Instrument samples can be adapted to fit your needs. 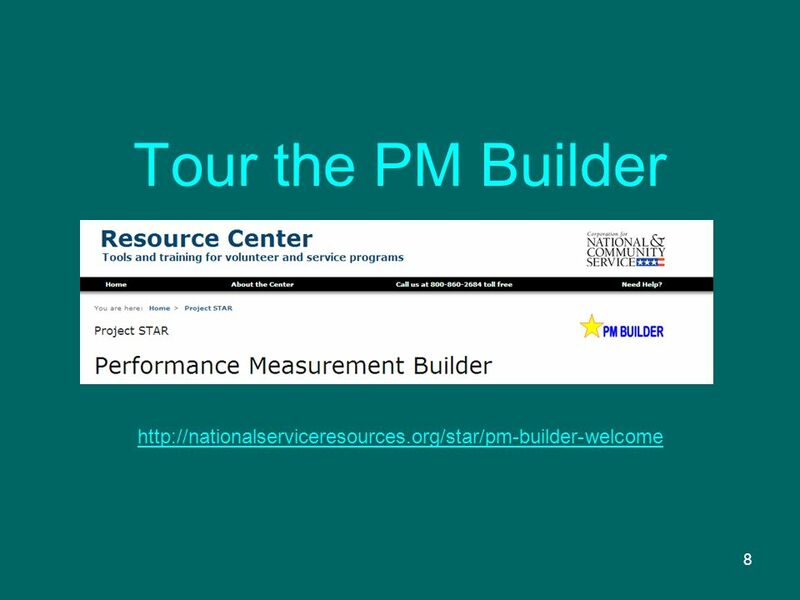 Download ppt "1 Performance Measurement Builder [Your Name] [Your Organization] [Contact Information] [todays date:]"
Introduction to Performance Measurement for Senior Corps Project STAR Support and Training for Assessing Results Recorded 9/10/2007. 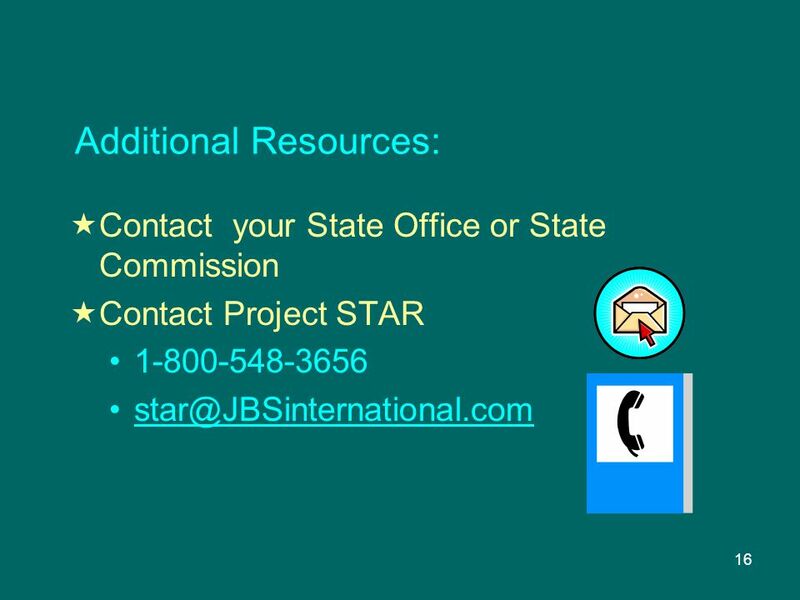 My AmeriCorps AmeriCorps National Programs Member Enrollment Presentation developed for the Corporation for National and Community Service by the eGrants. 1 Instruments and Data Collection New Mexico AmeriCorps April 20, 2006 Sue Hyatt, Project STAR Coach.